If you had any doubts this was not a bear market..
Did you ever doubt the movements in the stock markets over the last couple of weeks was not a bear market fluctuation? 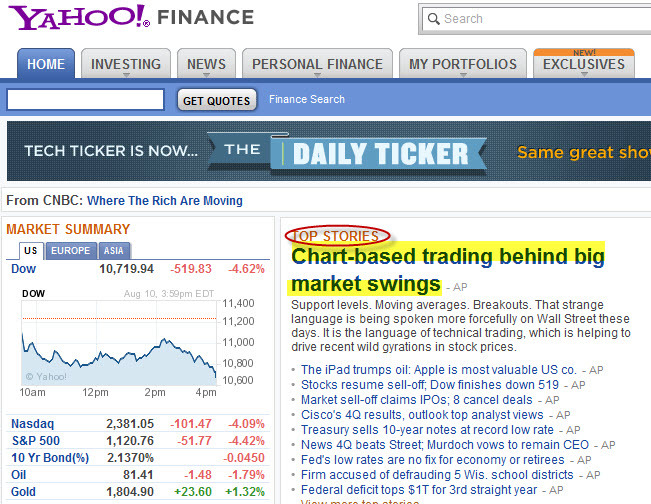 Here is proof that it is- the above headline captured from Yahoo/Reuters. Wait a second. I thought fund managers never looked at charts. Wasn't it always their super intelligence and Ivy league education that drove their decision making process? You mean to say small guys who look at charts churned all those trillions of dollars of Market Cap across the globe and the fund managers just sat there and did nothing to prop up their NAV? No value buying? You mean to suggest that algorithmic trading do not take into account PE, Price to book and other parameters and just supports and resistance? I've seen such Technical Analysis/ Chartist bashing in every bear market in the last 12 years. Having worked in an institutional broking arm in the past, I can tell you this - a technicians full worth is realised only in a bear market. The PE multiples, consensus forward earnings put forward by the leading broking arms are very rarely ever, leave alone being right, even close to being right. In a bullish environment these numbers give the illusion of being right. So when a bear market kicks in, the mirage disappears, everyone wants to speak to the chartist and understand where the markets are headed. Do you think I'm bashing fundamental analysis? Nope. Here is the proof. Do you know what was the consensus earnings estimate in Jan-March 2008? 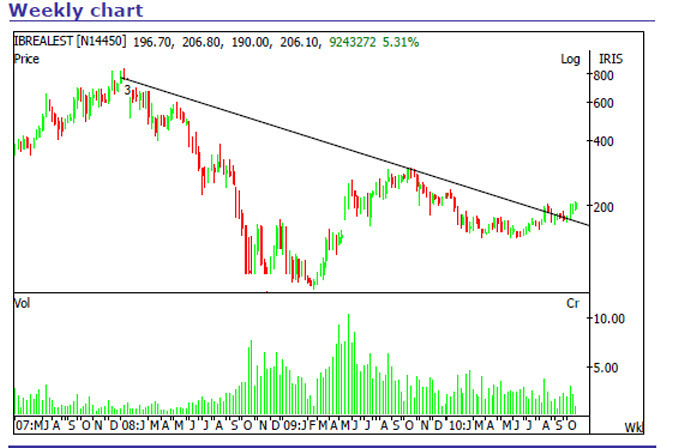 It was close to 1000 for the sensex(check here and here). That number was revised down to 933 in Oct/Nov 2008 citing slowdown in economy (euphemism for I'm watching price action). Any guesses when that number was achieved? Now, HOLD YOUR BREATH! And take care of your Jaw! 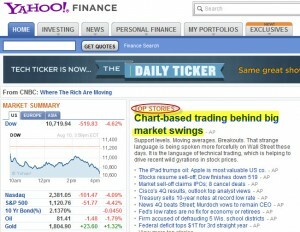 We are yet to see that on Sensex!!!!! I'm not talking about the 1000, I'm talking about the revised number of 933. The BSE website shows the current earnings for the Sensex as 913!!!! The current forward earnings estimate for Sensex is around 1200. So the next time you hear markets are cheap compared to their earnings - you might want to think or ask "based on what? Trailing or Forward earnings?" For fundamental analysis to be effective one must have an approach like that of Warren Buffett or the Chandler brothers who stay far far away from the action, observe, analyse the markets and pick value like a hawk. Many a times I have noted, big names, big firms botch Technical Analysis in their basics. When it happens, I usually mutter a few words to myself and just let them pass. But this time around, I've not been able let it pass.